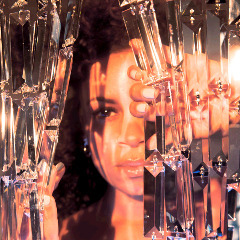 AlunaGeorge : Champagne Eyes EP album download | Has it Leaked? AlunaGeorge have gone fully independent, with a brand new EP set to arrive this autumn. Leaving their previous major label home, the duo have debuted a first taster of the release, ‘Superior Emotion’, featuring American singer/producer Cautious Clay. The full thing, titled ‘Champagne Eyes’, is set for release on 5th October. This is set to follow up on 2016’s album ‘I Remember’, and last summer’s standalone tracks ‘Turn Up The Love’ and ‘Last Kiss’.